Join like-minded magical thinkers and build the collective power of the #MagicResistance. I’ll send you my best writing on magic, tarot, politics, culture, and much more. Michael M. Hughes is an author, speaker, magical thinker, and activist. He is the creator of the internationally viral Mass Spell to Bind Donald Trump and All Those Who Abet Him, the largest magical working in history. He is also the author of four books, including his most recent, Magic for the Resistance: Spells and Rituals for Social Change (Llewellyn Worldwide). 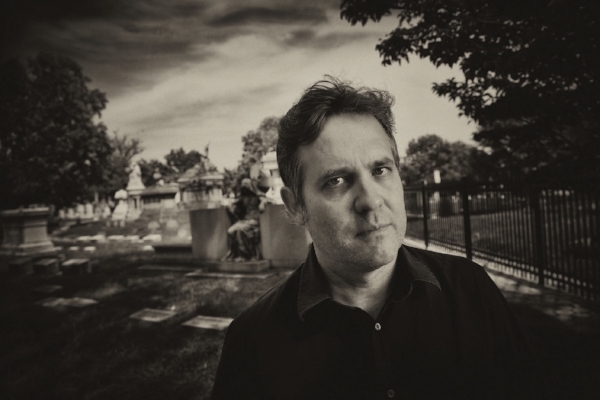 He is also the author of the acclaimed supernatural thriller, the Blackwater Lights trilogy (Penguin Random House), as well as numerous short stories and essays. Michael speaks on politics, magic, pop culture, psychedelics, the paranormal, and tarot. He lives in Baltimore with his wife, two daughters, and free-roaming rabbit named Toby Turnipseed. From the author of the Spell to Bind Donald Trump and All Those Who Abet Him―the spell that became a social media phenomenon viewed by millions of people―this book provides spells, rituals, and fascinating historical examples designed to help you put your magical will to work to make the world a better place today. These magical workings for social justice can be used by activists of any spiritual or religious background. With ideas for altars, meditations, community organizing, self-care, and more, Magic for the Resistance offers a toolkit for magical people or first-time spellcasters who want to manifest equality and peace. If you've ever felt disillusioned or burned out because of the slow progress of social change, this magical work can nurture and support you, sharpening your focus and resolve for a more sustained, long-term activism. In addition to influencing the outside world, these rituals bring you in closer alignment with your higher spiritual consciousness―because transforming your society begins with transforming yourself. 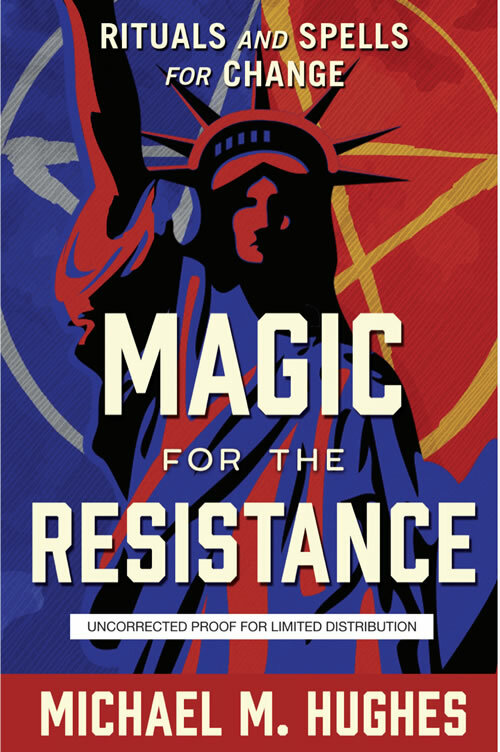 "Magic for the Resistance is a rabble-rousing battle cry for magical thinkers everywhere. As both a practical guide and historical record, Hughes's book does the vital work of inspiring socially conscious magical practitioners to harness the power of our imaginations and collective will, reminding us where true power really resides: in the hands of the people. An ethical, exuberant honoring of magical resistance movements then and now, this book will go down in history as the magical, refreshingly feminist, anti–white supremacist, LGBTQ-friendly equivalent of Saul D. Alinsky's Rules for Radicals." "Magic to the people! This wonderfully engaging guide―one part history, one part grimoire―demonstrates how and why to combine spell work and activism to heal our society and get rid of our heel." "Michael Hughes has drawn on his erudition as well as his quarter-century of experience as a practicing magician to offer a complete manual of 'Warrior Magic' in the service of justice. He answers the questions about whether magic is effective and ethical, stokes our motivation to engage, and gives detailed guidance for binding the negative, healing the wounded, and empowering the good." "This is rare combination of a how-to book that also gives a solid historical and cultural perspective on the uses of magic to resist political oppression. Sound and well-grounded both factually and magically, it's also well written and well informed." "Besides shedding light on certain little-known aspects of our cultural history (the second chapter is a particular revelation), this book provides an excellent and accessible glimpse into the mechanics, philosophy, and, yes, ethics of magical practice. Whether or not you have any intention of utilizing the practical techniques he describes, you'll benefit from learning about those practices that countless individuals throughout history have employed and that continue to be a vital force in the lives of millions around the world." "This book empowers the reader to liberate stagnancy and facilitate positive change, to feel/be heard, and to learn from obstacles and challenges that are encountered. On the surface, mass-market, glitzy media publicity can look worthwhile and even meaningful―but real lasting change/evolution is more than a knee jerk reaction or a fad. It starts at a grassroots level and is perpetual, and this is what Hughes expounds and educates on in this well-written and entertaining book." "In Magic for the Resistance, Michael Hughes has written an eminently necessary guidebook for the magic-workers of our time. He has armed readers with the tools needed to speak out and fight back, both at the altar and away from it. In a world that thirsts for magic and justice alike, this book weaves both together in the most practical ways."